The U.S. Postal Service said it expects to deliver nearly 15 billion pieces of mail and 900 million packages between Thanksgiving and New Year’s Day, according to a release. Once again, the Postal Service announced it is expanding Sunday delivery operations to locations with high package volumes beginning Nov. 25. The service already delivers packages on Sundays in most major cities, but officials anticipate the service delivering more than 8 million packages on Sundays this December. Mail carriers also will be delivering packages on Christmas Day in select locations, the release states. Residents are reminded that workers will be processing mail for overseas recipients with the Department of Defense and the Department of State. Interestingly, the Department of Defense measures its mail volume in pounds not pieces, and it is expected that mail workers will process more than 16 million pounds of mail for overseas recipients between Thanksgiving and New Year’s Eve. With an increase in early and online shopping for gifts, there no longer is a “busiest day” for holiday shipping. Instead, the busiest time is two weeks before Christmas, according to the release. Starting the week of Dec. 10, customer traffic is expected to increase, and the Postal Service expects to deliver nearly 200 million packages per week during these two weeks. 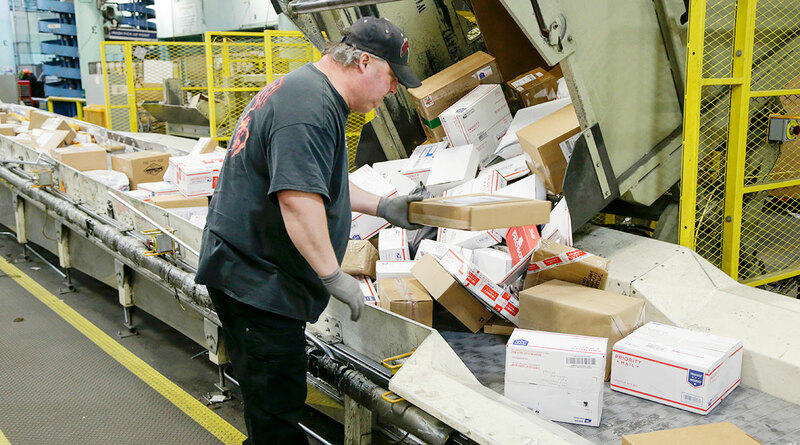 The week of Dec. 17-23 is predicted to be the busiest mailing, shipping and delivery week, with nearly 3 billion pieces of first-class mail, including greeting cards, being processed and delivered.